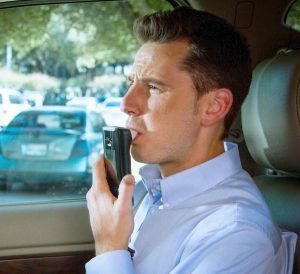 In part 1 of this article, we began our examination of the ignition interlock unit that must be used for at least a year when a person wins (shameless bit of self-promotion here: I also noted that I guarantee to win every license appeal case I take, so for my clients, getting back on the road is definitely a “when” and NOT an “if”) a Michigan driver’s license restoration case. Along with the interlock device, a person is required to drive on a restricted license for at least the first year after winning his or her license back before being able to appeal again for a “full” license. Here, in part 2, we’ll finish our examination of missed and positive tests, and then we’ll go on to look at a number of other important factors about the interlock, including positive alcohol readings, how to avoid an ignition interlock violation in the first place, and what you should do if (and when) you run into trouble. It is important to understand that when a person misses a test, it’s about a lot more than just showing a proving that he or she hadn’t consumed alcohol before he or she missed a test. That’s helpful, but it doesn’t answer why the test was missed in the first place, nor does it otherwise excuse not taking the test when required. Think of it this way: in many cities, on-duty firefighters are required to be in the firehouse while on duty. A firefighter can’t skip going to the firehouse on a workday and, when confronted with skipping work, demand pay and defend him or herself by pointing out that there were no fires or runs that day. As much as the firefighter’s job is to be at the firehouse, if a person is on an interlock, it’s his or her job to provide a breath sample when requested. Missing a retest will automatically cause a violation that revokes a person’s license all over again. In the real world, most missed tests occur because a person is out of the vehicle for a few minutes (maybe he or she has run back into the house to get something) and doesn’t hear the alarm, only to subsequently notice that they missed providing a sample once they get back in. If that sample isn’t provided within the 5-minute window, then it’s too late. And to be clear, the window is EXACTLY 5 minutes; even at 5 minutes and 1 second later, a violation is automatic. The Secretary of State, for its part, provides specific directions, within the body of the order granting a license appeal, about to avoid this, as well as specific directions about what to do if a person does, in fact, provide a sample that registers positive for alcohol. This information is toward the back of the order, and, unfortunately is often missed by people who are so happy to have won that they stop reading at the point of being told what providers they can use, or who scan it quickly and then forget about it. Within my license restoration practice, I handle about 6 or 7 violation cases every month. Over the course of my 27-plus years, I have handled more violations for missed or skipped tests than I can count, and I cannot recall even one client in this situation ever having consumed alcohol. I’m sure my experience is far from unique, and that the overwhelming majority of skipped rolling retests do NOT involve alcohol consumption. I hope, therefore, that I’ve made the point that it’s simply missing the test that is the problem, and that even being to prove you weren’t drinking doesn’t excuse not providing a breath sample when required to do so. The real takeaway here is that you have to learn how to use the interlock, pay attention to the rules, and read the Secretary of State’s included instructions, as well. I consider it an important part of the service my staff and I provide to help the client go through and understand all this. By the same token, it is a mistake for anyone, no matter how elated to have won his or her license back, to learn just enough to get the car started and how to provide a breath sample while driving. As the old saying goes, “$hit happens,” and believe me, you can just about count on some $hit happening during your time on the interlock, so take the time to read the state’s order and instructions and, if you’re my client, to speak with us so we can help you get the unit put in and learn how to properly use it. In fact, one of the more important services we provide (without cost) to my clients is to help them try and avoid a violation if they do encounter a problem while on the interlock. It should come as no surprise that another very serious problem is testing positive for alcohol. This happens all the time, and what makes this so difficult is that a test result can be positive for alcohol, but a person may not have been drinking because certain foods can trigger a positive result, as can about ten million other things, like hand sanitizer, colognes and perfumes, cleaning products, and even windshield wiper fluid. In my practice, I deal with endless positive breath test results, and, despite the issues they cause, almost NONE of them occurred because my client consumed alcohol. Here again, the instructions provided by the Secretary of State address what to do in the event of a positive reading. First, a person is NEVER supposed to just give up and bail out and leave the car. Instead, the person should rinse his or her mouth with water and keep trying to get it started. If the machine is malfunctioning to the extent that nothing resolves, then the person should get a ride directly to a police station and get a PBT test. Almost without exception, if a person has not consumed alcohol, it will dissipate quickly enough that he or she will be able to get the car started soon enough, and the subsequent rolling retests will show the alcohol continuing to evaporate. The very first destination should be a police station for that PBT. In the event that a person simply cannot do this right away, he or she should obtain an EtG urine test that same day. Unlike in the courts, where EtG tests are assumed to have a look back of about 80 hours, the Secretary of State only gives them credit for 24 hours. About the worst kind of violation occurs when a person tests positive for alcohol and the vehicle won’t start, and then he or she does just bail out, and then fails to get either a timely PBT or EtG test. To put this differently, there really isn’t any worse situation than a start-up failure where the person does not eventually get the car started and then does not go and get a timely PBT or EtG test proving the person hadn’t been drinking. Honestly, you can use that situation as the picture next to the dictionary definition of “screwed.” If the reader takes one thing from this article, I hope it’s DON’T DO THAT. Instead, read the whole order you get from the Secretary of State when you win your case (I guarantee to win every case I take, so – a little bragging here – for my clients, this is a definite “when,” and not an “if”). Then read it again. Next, do yourself a favor and copy the section about interlock use and put it in your car so you have it at hand if (and likely when) you need it. HO: Did you go to a police station and get a PBT right way? HO: Did you get an EtG urine test later that day? HO: Did you read the notice of interlock use in your order? Client: Well, I did read the order after this happened, but by then it was too late. Now I know what to do, but when this was all going on, I was all nervous and figured the interlock people could help me out. HO: Who do you think is more important, the interlock company, or the Secretary of State that gave you your license back? It’s your responsibility to read everything in your order. It’s not a good feeling to be in that hot seat. The point I want to make here is that there is more to this than just winning your case, getting the machine hooked up and driving again. That’s why I called this the hardest simple thing you’ll probably ever do. In truth, this isn’t that hard; there are a few rules to follow, and they are simple, but they are very easy to overlook or forget. Every 3 months or so, a person has to have his or her unit calibrated. This means the vehicle has to be driven to the local service center for his or her provider, where the data on the unit is downloaded (and then sent to the Secretary of State) and the unit is checked and tuned up. Under the terms of a restricted license, a person can drive him or herself for this purpose. There really isn’t much more to this by way of overview. Of course, it’s easy to talk about all of this, but doing it, learning how to properly use the machine (some require the person to hum a bit into the mouthpiece) and remembering what to do when “$hit happens” takes a bit more focus and time. If you are looking to hire a lawyer to win your license back and you have honestly quit drinking, no matter where you live, I can get you back on the road, guaranteed. All of my initial case screenings are confidential and done over the phone, right when you call. We are here to help Monday through Friday, from 8:30 a.m. until 5:00 p.m. (EST), and my office can be reached at 586-465-1980.